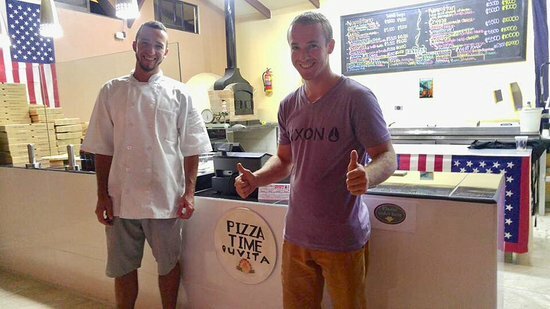 Pizza Time is an excellent restaurant specializing in pizzas in Uvita. Since it is a popular spot, it is highly frequented by travelers and locals. The pizzas are above the average: they are authentic Italian dishes. This is one of the few restaurants that will turn you into a believer; no matter how much you have been looking for the Italian pizzas. Now this is it! Book and enjoy your meals. Aracari Restaurant is a hidden spot in Uvita, Costa Rica. Given its location, it is hard to find this gem; those who find it wish they had found it earlier. The spot offers healthy, quality foods at incredible prices. The foods, services and the ambiance make the spot worth your visit. As you give it a try, you will find yourself returning as long as you have time. The restaurant also has a safe parking pot. 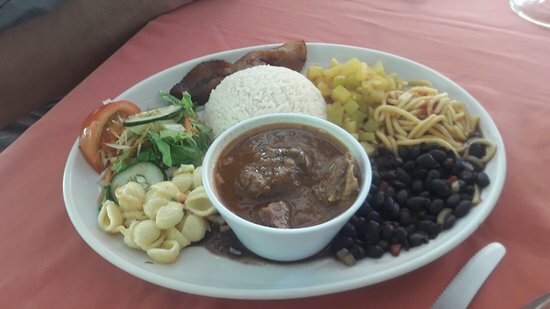 Sabor Espanol is a beautiful small restaurant based in Uvita. Given its location down a dirt road, it may not be easy to find. As matter of fact, it is frequented by travelers who are recommended to the spot. Strangely enough, it’s a hidden place with a hidden treasure of dishes. As you pay a visit, you will be glad you did. It often gets fully packed. So, you’d better go early or make a reservation. The menu offers potatoes, aioli, cold Andalusian Gazpacho, shrimp, pork, fish, chicken, rice, paella, meat dishes, and much more. Every food is excellent. You can start with cooked roast potatoes accompanied with both aïoli and a cold Andalusian Gazpacho. This dish is full of flavors and taste. Keep in mind that when you order food with peppers, it comes with stronger ones than the international peppers. 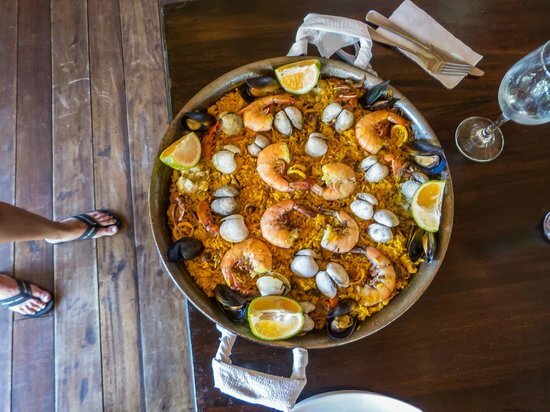 Then, you can order paella with Costa Rican rice. The paella plate comes with a bunch of food such as shrimp, chicken, fish. This dish is out of this world. To this meal, you can add a Riojas Cune red. The owner is a hard worker. After the server welcomes the clients, the owner takes the orders as the clients decide on their food. If they need an explanation about the foods, he does explain each dish on their menu. After preparing their food in the kitchen, the servers bring it in no time. The owner also makes that sure that every client is enjoying their food. 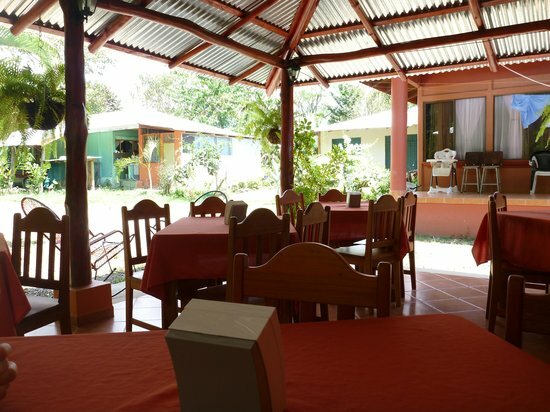 Located away from the main road in Uvita, Soda Ranchito Dona Maria is hard to find. So, it’s usually frequented by those who know this restaurant. In fact, only the lucky travelers ever find this gem. 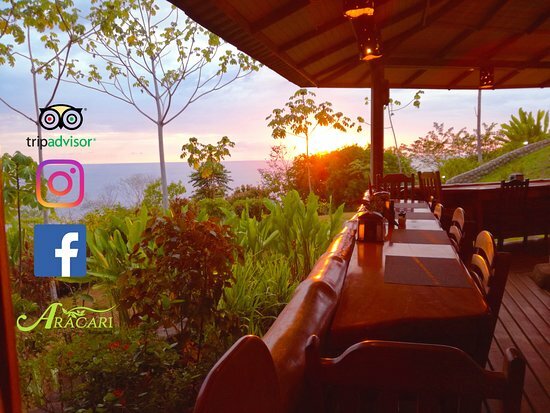 So now that you know about this spot, put it on your list as you are in Costa Rica and enjoy amazing breakfast, lunch, dinner at affordable prices. The menu offers burritos, pasta, Casados, nachos, rice, salsa, Huevos Rancheros, eggs, pasta, fish, arroz con pollo, salads, omelette, and much more. The food is cooked with locally sourced ingredients. Every food is delicious and served in generous portions. For breakfast, you can order the tasty coffee and then the veggie nachos. They are unbeatable. For lunch or dinner, you can start with fresh salad accompanied with the scrambled eggs. Then, you can grab the burritos. If you are still hungry, you can order the Casado. It comes loaded with many dishes such as rice, beans, fish, and pasta. This dish will easily get you stuffed. As you order the shrimp, you will receive it with the Garlic’s sauce. Plus, you can order the tasty sauce made from carrots and cucumber. For beverages, you can either order the strawberry with leche or the fruit smoothies, both of which are delicious. The restaurant offers excellent services; the staff welcomes and seats every visitor in no time. They also help the clients pick up the best dishes out of the spot. So, they are always impressed with their cuisine. With their care, the clients can have anything they desire. 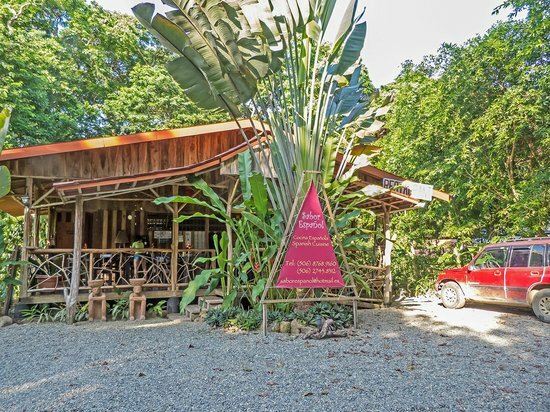 Orchid Coffee Shop is a must visit place while you are in Costa Rica. It mainly serves coffee and desserts but also has other substantial foods. It is said that they serve the best coffee around the locality. If you are looking for a combination of great food, friendly service and a casual atmosphere, this is the place for you. This place calls itself a coffee bar. But it has a wide menu with a lot of traditional and nontraditional dishes. They have arrangements for Breakfast, Brunch, Lunch, Drinks and many more. It’s specialty are hot and iced coffee, salads, paninis, crepes etc. The menu has a extensive collection of coffees to choose from. Oreo Coffee, iced coffee, latte with different flavors, mocha coffee, French coffee and many more various coffees will blow your mind. Lunch items are also very delicious. Sandwiches, unusual salads and home made quiche are also there. Orchid Coffee Shop serves Alcohol, Wine and Beer. There are vegan options too. For the vegans, they serve soy milk tea and thus they are famous even among the vegetarians. The have some enjoyable cakes as desserts. The presentation of each item will amaze you. Dishes come in big portions. To meet the expectations of the customers is their goal. You will not regret visiting this place. The atmosphere is very cozy and comfortable in this restaurant. It’s a modern area with artistic surroundings. Both tourists and local people talk about this place when it comes to coffees. Facing the greenery of the outside the dining room is twinkling with different color lights. It makes the environment romantic. Seating arrangements has both inside and outside the cafe. It is a great place for couples, families and large groups. This is the kind of place you wish it was situated just beside your house. Free wifi is available both outside and inside. The plus point is there is a parking lot in the premises of the place. Highchairs are available for the babies. All the staffs are friendly and welcoming. They all know English and there are menus both in English and Spanish which make it easy for ordering. Takeout service is available. They take both cards and cash. It’s a super cute shop with cute cow designs. You will love to be there again and again. It’s open all the days! Hours : 7 am-7 pm. It’s an adorable tiny place between the town of Santa Elena and the uphills towards the hotels. This is a place where you will forget the chaos, noise and pollution of the city life. Stella’s Bakery is one of the oldest eatery that Monteverde ever had. This place is very famous among the locals and the tourists. It ranked number #2 in the list of best five Coffee & Tea in Monteverde. Stella’s Bakery specialize in baked items, quiche, milkshakes, sandwiches, soups and many more. They offer breakfast, lunch and dinner. Their menu is rich with various food items. Such as rolls, muffins, pastries, yoghart, milkshakes, sandwiches etc. All the dishes are tasty and freshly cooked. It is a vegan friendly restaurant. So there are vegetarian options too. Both sweets and savouries in this place are awesome. A little bar is attached and the bar serves wine and beer. And the coffee drinks are best to warm up yourself in a cold Monteverde morning. All the foods are cooked with love and come in big portion. The decorative presentation of all the dishes will make you want more. The main attraction of this place is its atmosphere. There is an open wooden room at the back of the restaurant. The room is followed by a pretty garden. Various colorful birds visit the garden and join you on your meals. Tanagers, mot-mots, emerald-green toucan and many more birds keep flying over the garden area. If you are lucky white faced monkeys may join the birds. There is even a spot where they keep fresh fruits to attract many different types of birds. They have free wifi service for their customers. A tourist information desk is there to help the tourists. Highchairs are available. They are kind enough to allow wheelchairs. All the staffs are very welcoming and friendly. They have good English skills. The service is very warm. Stella’s Bakery accepts both cash and cards. This restaurant starts its day at 6 am. Two hour earlier than other restaurants of this place. So this is a plus no doubt. They are open 7 days a week! This eatery is situated on the center area of Santa Elena . Just an hour away from Monteverde Cloud Forest Reserve. Hotel El Bosque, Vistaverde Lodge and Trapp Family Lodge Monteverde these are the nearby hotels from Stella’s Bakery. Across from CASEM, Monteverde, Puntarenas, 60109, Costa Rica.